Luangpor Teean Jittasubho (birth name Phan Intapew) (1911-1988), was born on 5th September 1911, at Buhom village, Chiengkhan district, Loei Province in the Northeast of Thailand. He was the son of Chin and Som Intapew. His father passed away when he was young. The small village of Buhom is a rural area with no schools. Phan Intapew did not receive any formal education during his childhood. Like other children living in Buhom village, Phan helped his mother work in the rice fields. At the age of eleven, he was ordained as a novice and stayed with his uncle, a monk at the village monastery. During one and a half years at the monastery, he had studied Laotian scripts and ancient local scripts. He also started practising various methods of meditation, such as concentration on the breath and reciting “Bud-dho” or counting one, two, three, etc. After leaving the monastery and monk lifestyle, he returned home to help his family by working in the rice fields again. Phan was ordained as a monk at the age of twenty in accordance to the Thai tradition. He studied and practised meditation with his uncle again for six months. After disrobing, Phan was married when he was twenty-two and had three children. His eldest son, Neeam, died at the age of five. Phan was later known as “Por Teean” after the name of his second son, Teean. “Por Teean” means father of Teean. It was the local tradition to call the parents after the name of the eldest child. In his village, he was always a leader in Buddhist activities and was well respected. He was selected three times as the head of the village. Despite the burden of responsibility held by the head of the village, he continued practising meditation regularly. Por Teean later moved to Chiengkhan, a larger community, where his sons could attend school. He was a merchant sailing his steam boat along the Mae Khong River between Thailand and Laos. Por Teean was given opportunities to meet several masters/teachers; their talks attracted his attention and made him feel interested in the Dhamma (the Truth). 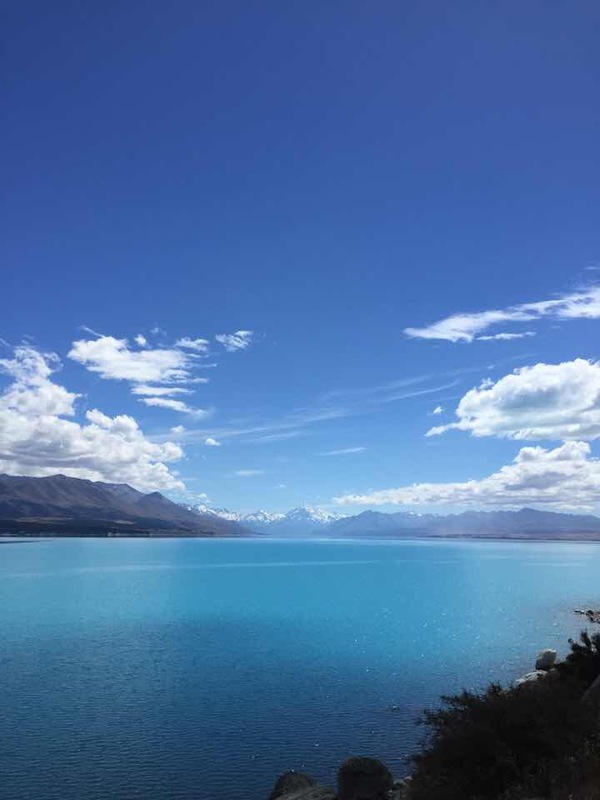 Later, he had realized that he could not overcome anger after many years of doing good deeds, making merit, observing the rules of moral conduct and practising meditation. In 1957, Por Teean was forty-six years of age. He left home with the firm determination to not to return unless he overcame his anger. He went to Wat Rangsimukdaram, Pannprao subdistrict, Tabor district, Nhongkai Province (now known as Srichiengmai district) where he had practised a simple form of body’s movement but did not recite the words “ting-ning” (moving-stopping) as others did. He only developed awareness of his body’s movement and seeing thought. After a few days of practice, on the early morning of the eleventh day of the waxing moon, the eighth month of Thai lunar calendar, in the year two thousand five hundred of the Buddhist Era (8th July 1957), Por Teean was enlightened and reached the end of suffering without any traditional rituals or teachers. He returned home and began to teach the Dhamma that he knew and understood by himself. Por Teean also taught the awareness-mindfulness meditation to his wife, sister, relatives, and fellow villagers for two years and eight months. On 3rd February 1960, Por Teean decided to re-enter the monkhood in order to be in a better position to teach Dhamma and meditation. He was known as Luangpor Teean Jittasubho (the venerable father Teean Jittasubho). The awareness-mindfulness meditation, or also known as the method of developing awareness taught by Luangpor Teean, had been well known to practitioners in Thailand and overseas. 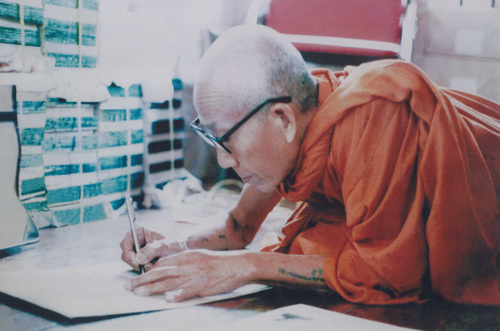 Luangpor Teean devoted his life to the teaching of Dhamma despite his poor health. He was diagnosed with malignant lymphoma (stomach cancer) in 1982. In spite of his serious illness, he still continued to actively teach until the end of his life. On 13rd September 1988 at 6:15 pm., Luangpor Teean passed away calmly at the age of seventy-seven in a hut at Tabb Ming Kwan meditation centre on Koh Buddhadhamma in Loei Province, after thirty-one years of teaching Dhamma and awareness-mindfulness meditation. Since I attained the State of Arising-Extinguishing of the Mind, I have had no more doubt about my life and mind. If I saw Lord Buddha flying towards me, I would not ask him anything.